After our treat gathering haul, we made our way back down Main Street USA to grab a spot for the first running of Mickey’s Once Upon A Christmastime Parade. On the way down, we stopped in the Emporium to buy a blanket because I was absolutely freezing! I already had my long sleeve dress and jumper on, as well as gloves, but there was a nip in the air, and I really feel the cold! So I wrapped the blanket around me and we waited for the parade to roll around to us! Mickey’s Once Upon a Christmastime Parade starts at 8.30pm in Frontierland, and it gets to the bottom of Main Street USA at around 9pm. This is one of my new favourite spots for watching the parades – especially at night as there is a bit more light from the buildings to help me taking photos. That said, some do look like I took them on a potato, but I’ve included them as they’re all I have! I need to continue to improve on figuring out the best way to photograph nighttime parades! 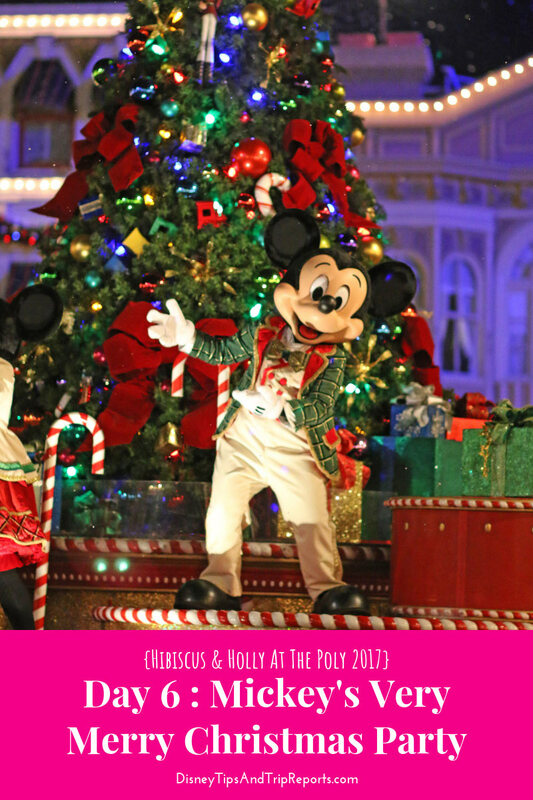 The photos of the parade kinda tell the story themselves – it was a cute parade, but I think I prefer the Christmas Parade at Disneyland Paris more! I also prefer the Halloween Parade over the Christmas one – but all my personal opinion! At the end of the day, Disney know how to do a parade!